Beautiful corner lot across from the golf course. Beautifully landscaped with mature trees and courtyard. Home has been remodeled with new paint, new flooring, lighting fixtures, plumbing fixtures and updated fireplace. Spacious interior with beautiful fireplace in the living room, formal dining area with a wet bar and casual dining area with surrounding windows next to the kitchen. Kitchen features a breakfast bar , center island with electric cook stove ,self closing cabinets, double ovens and dishwasher. Master bedroom with double sinks, jetted tub and separate shower and huge walk in closet. Also access to the backyard.The second bedroom is also extra large with walk in closet. Home comes with two full bathrooms and one half bath next to the laundry room. 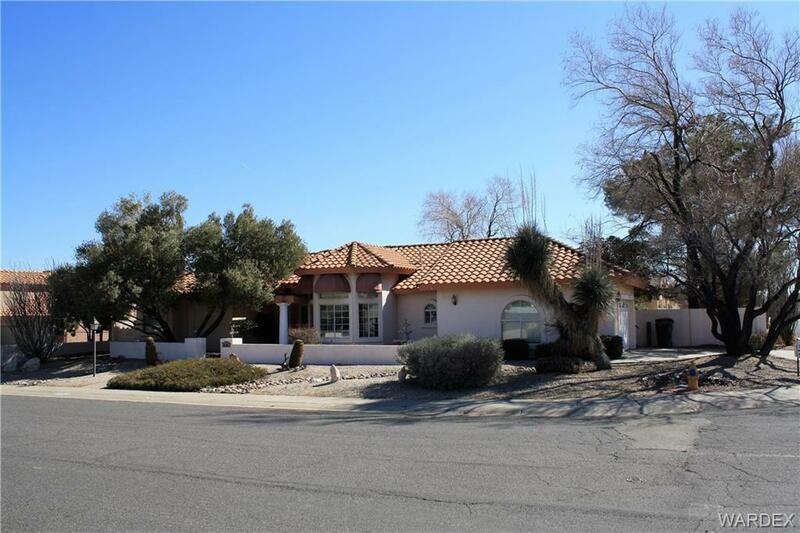 Backyard area is amazing with large trees, covered patio, stucco wall and RV access gates. Laundry room has extra cabinets and the garage has extra storage cabinets.